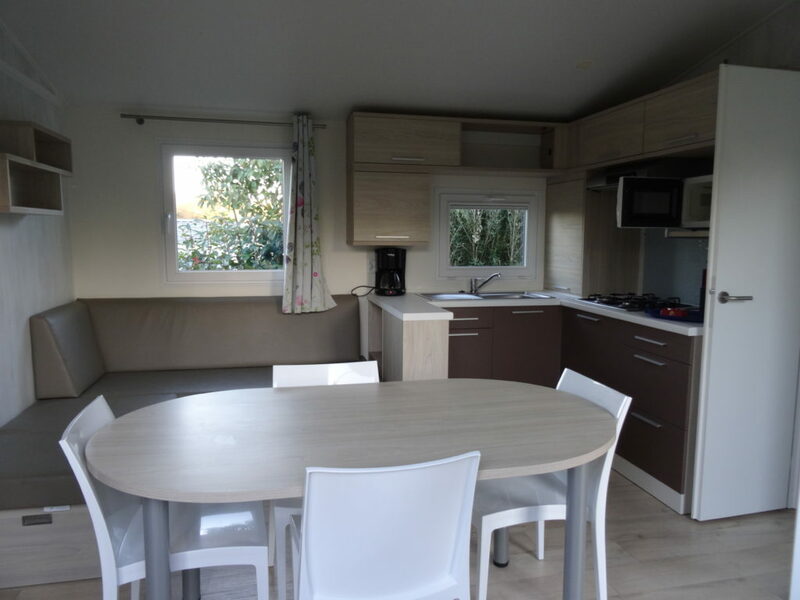 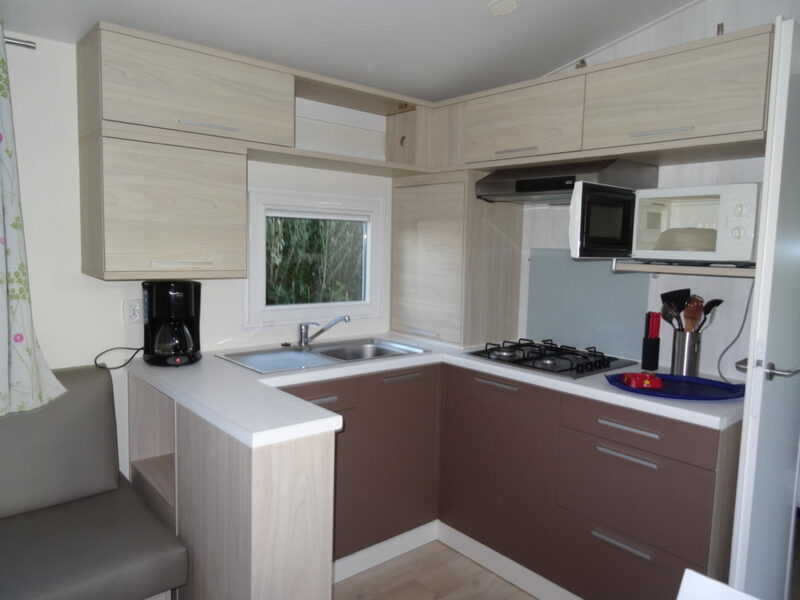 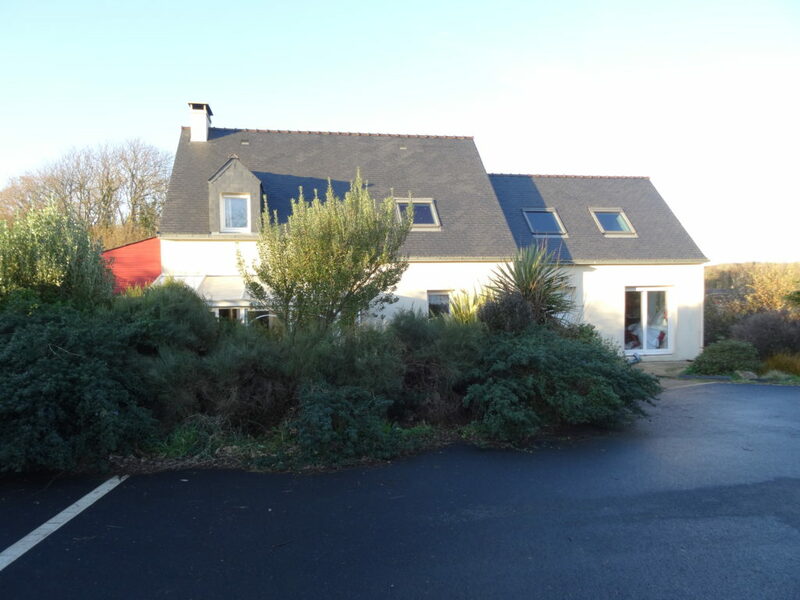 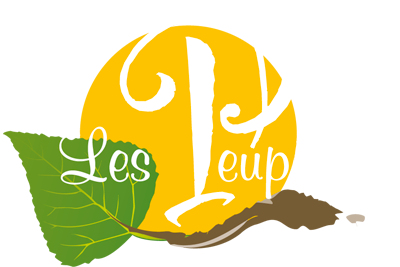 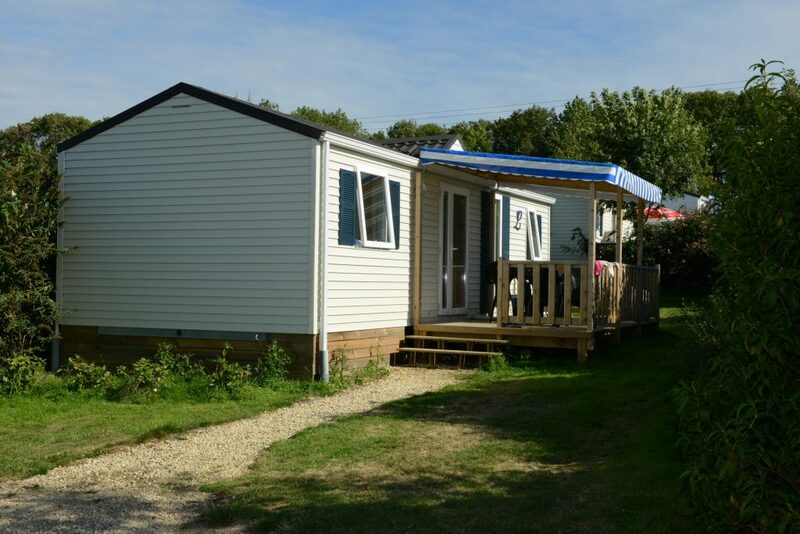 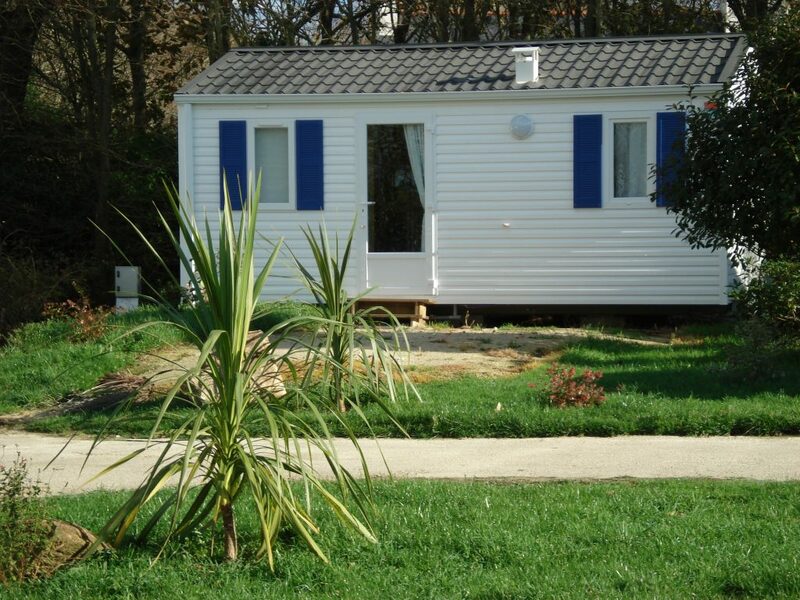 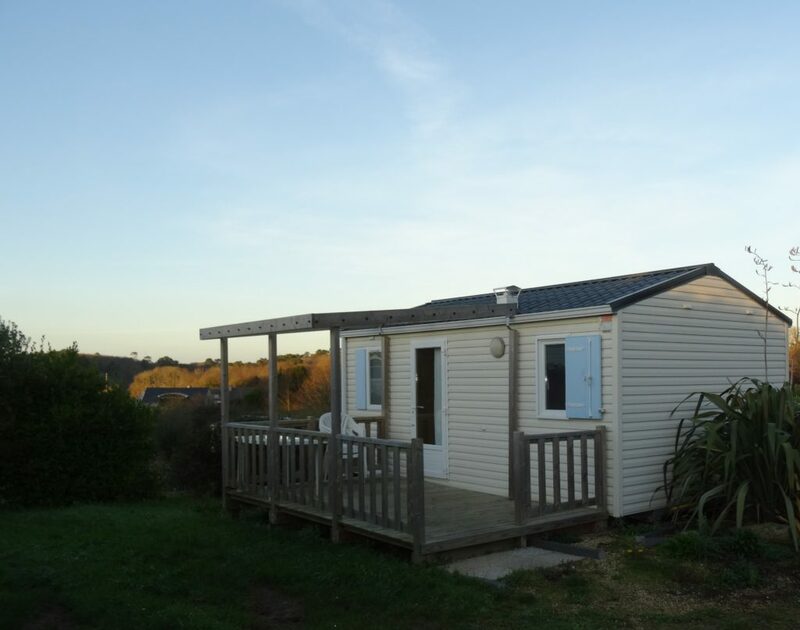 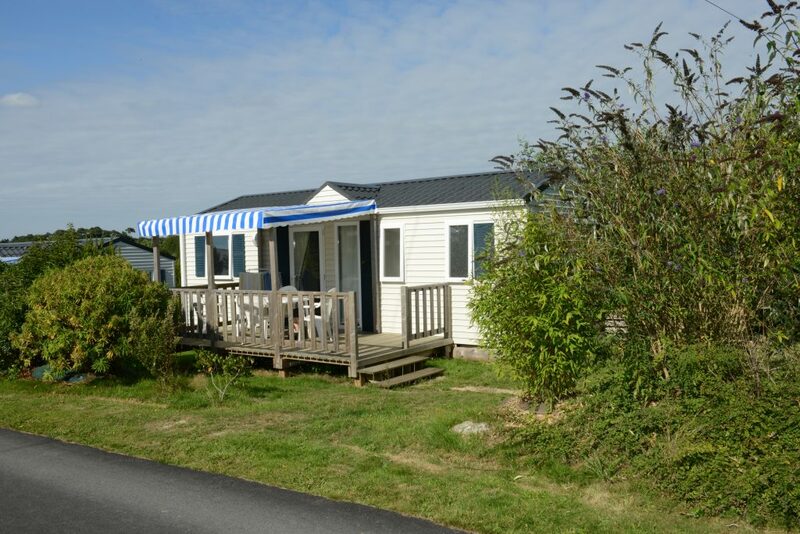 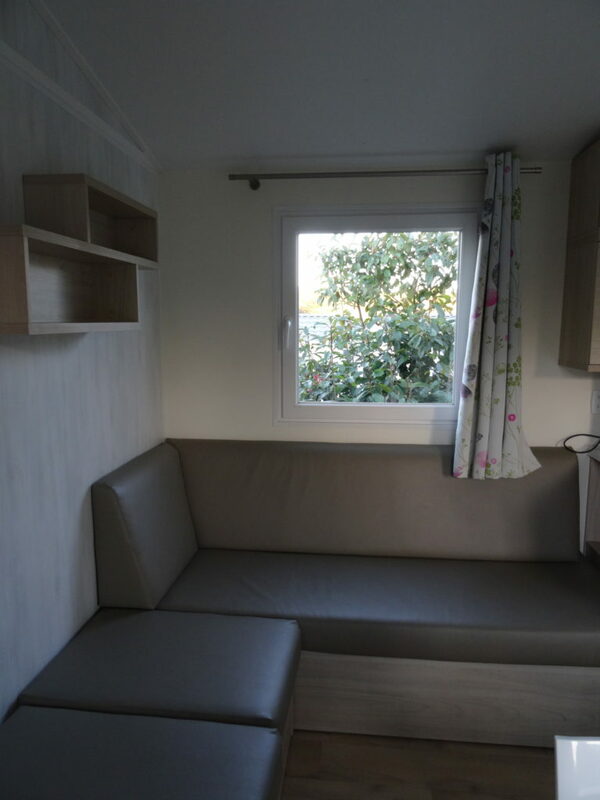 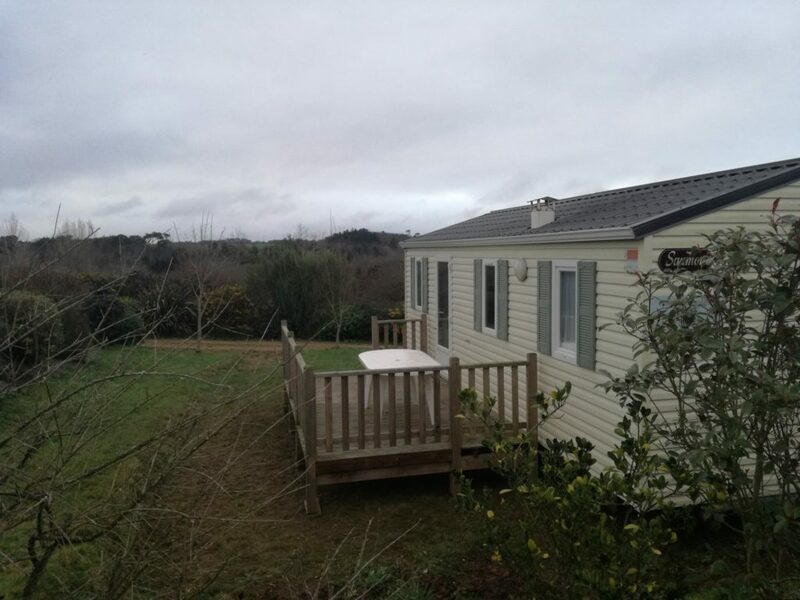 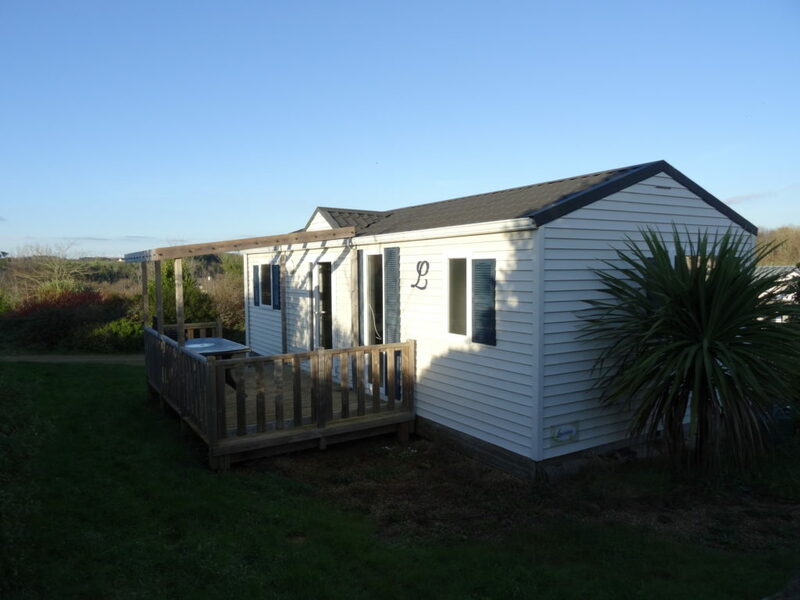 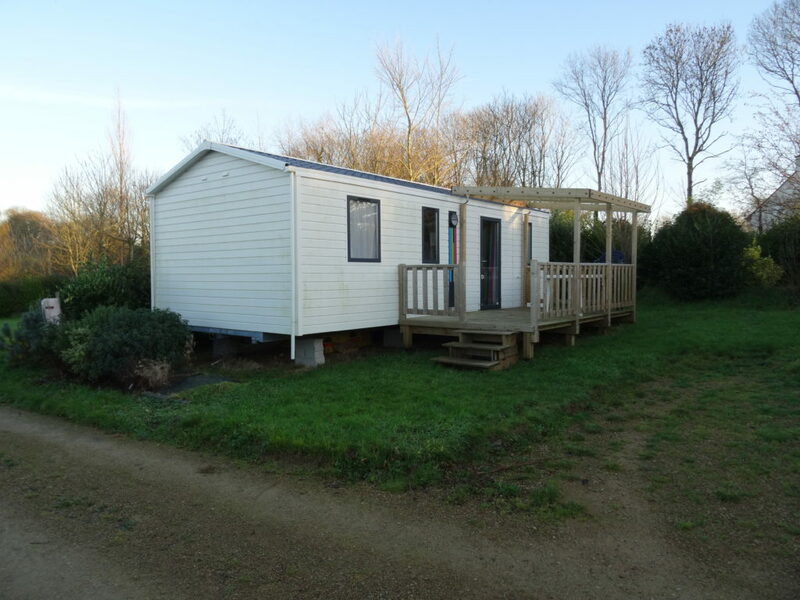 Les Peupliers campsite also offers South Finistère mobile homes for renting. 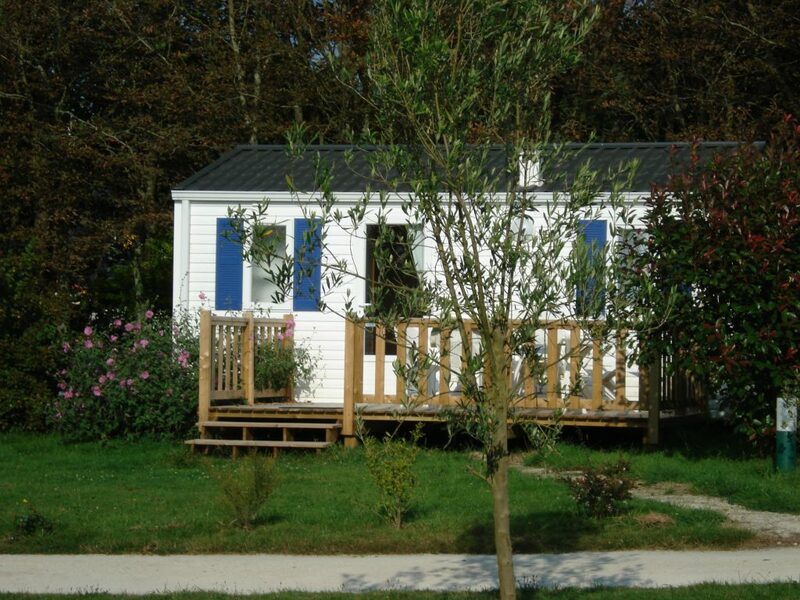 9 mobile homes are available for 4 to 6 people with or without terrace and a 58-m² cottage for up to 8 people. 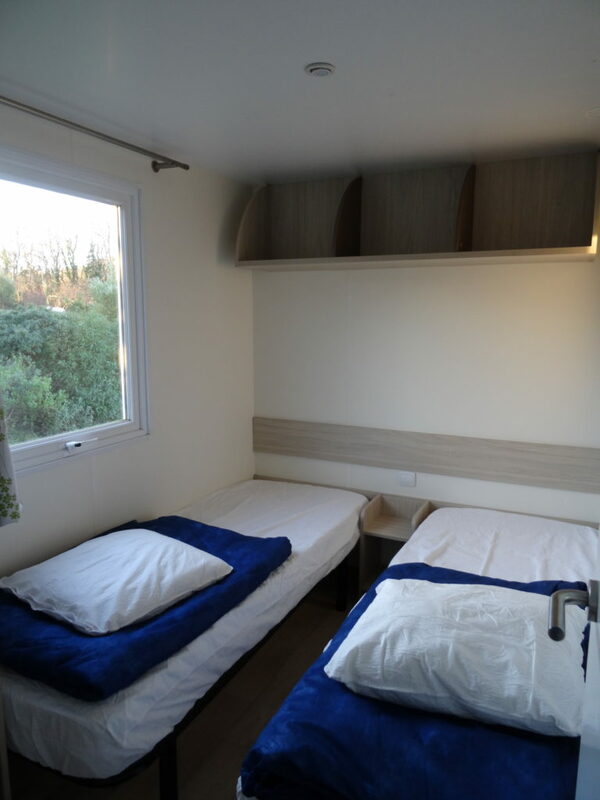 Coco is a new concept that is functional, cosy, fun and snug all at the same time. 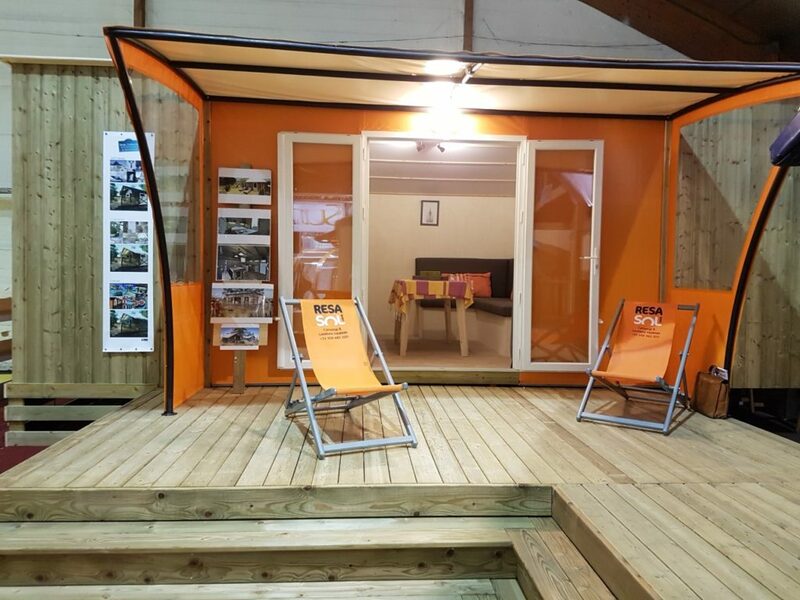 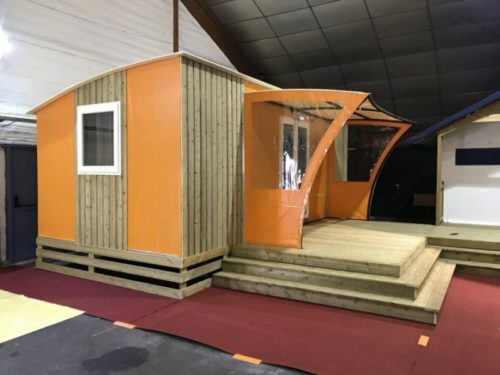 Coco is a new way of experiencing life on a campsite and provides clients with a particularly attractive and affordable option for hosting up to four people. 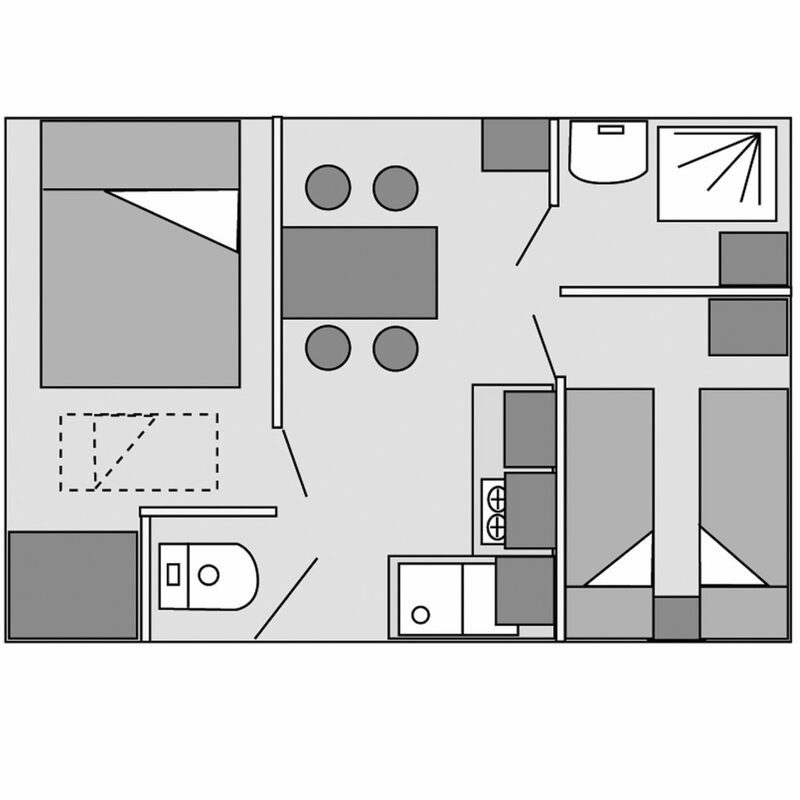 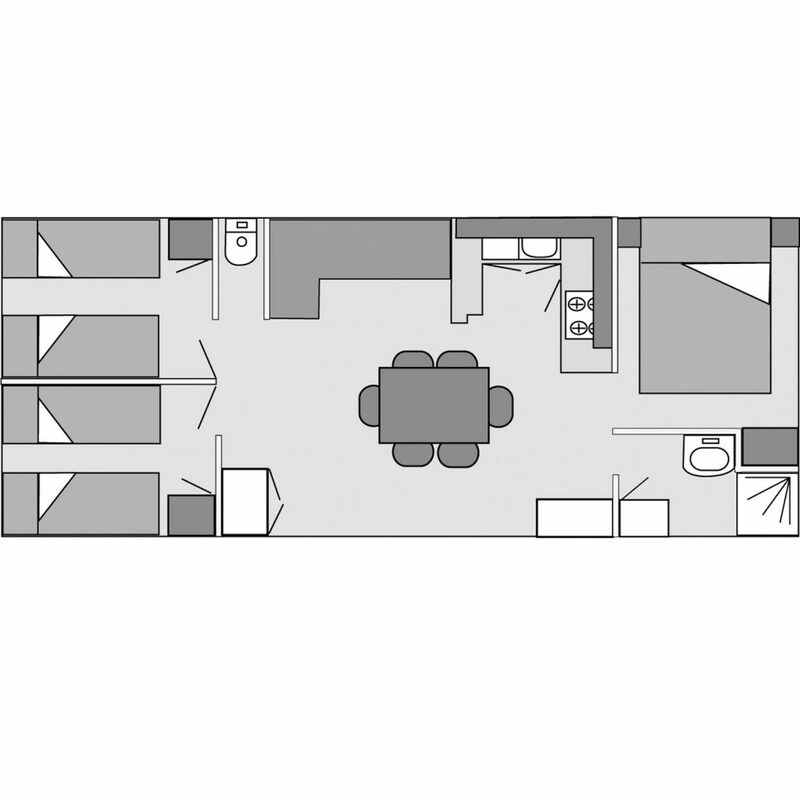 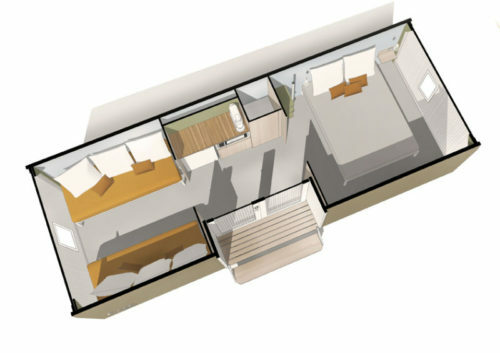 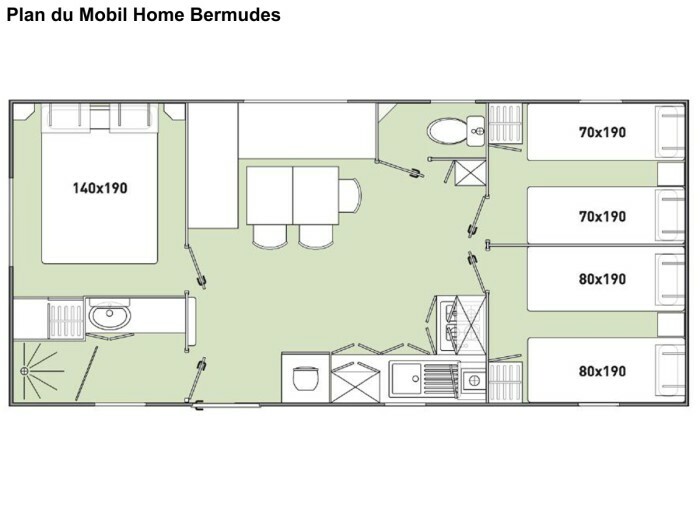 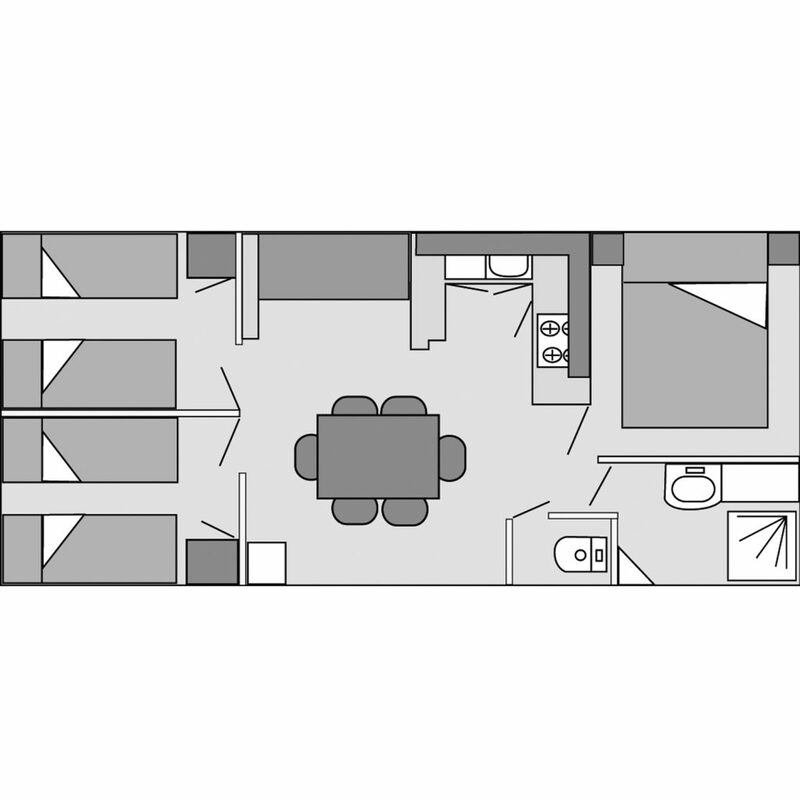 1 bedroom with 2 single beds (80cm), sleeping for 2 (140cm) in the living room separated by a sliding partition, pillows, duvets. 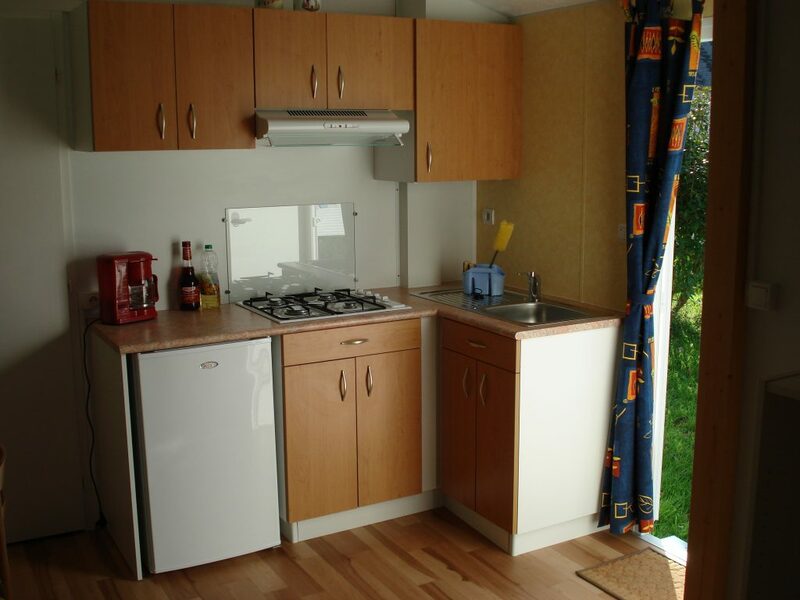 WC, shower room, kitchenette with fridge, cooking hob, crockery, garden furniture. 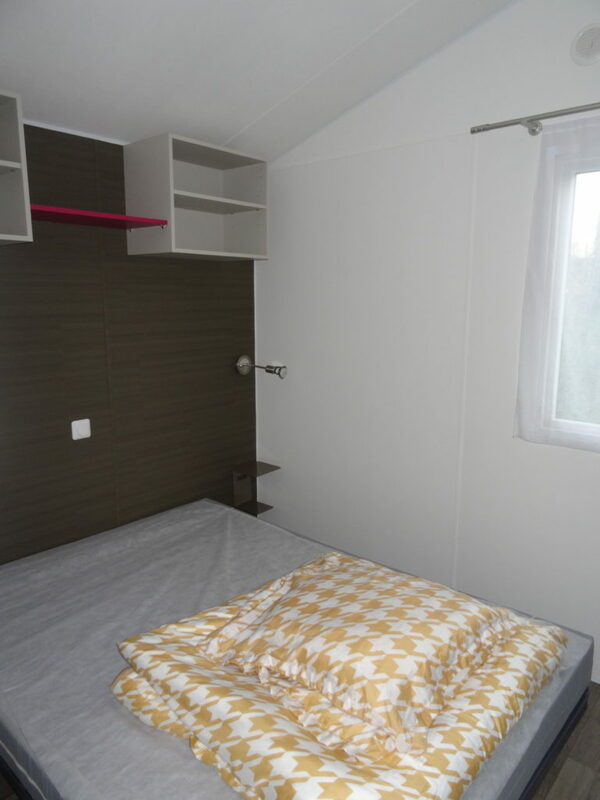 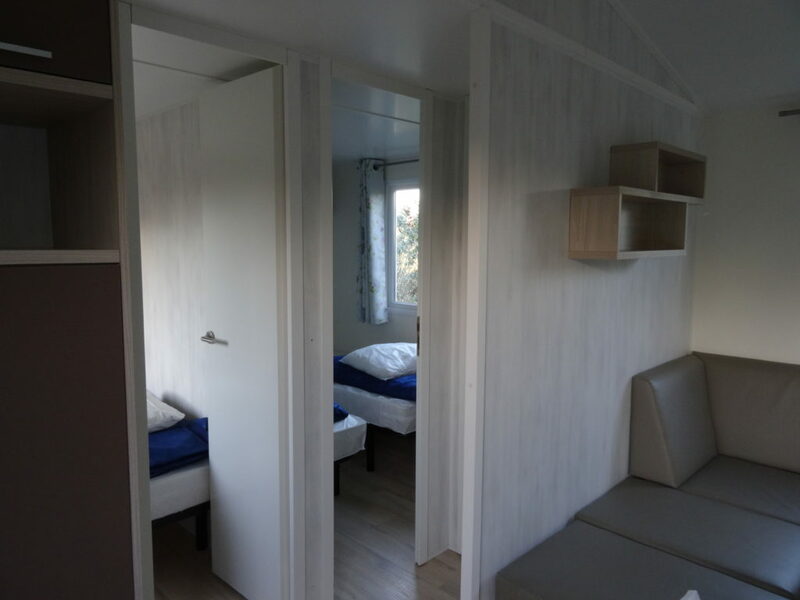 With wooden terrace: 1/2 bedrooms: 2/4 people, 1 bedroom with 2 single beds (80cm), sleeping for 2 (140cm) in the living room separated by a sliding partition, pillows, duvets. 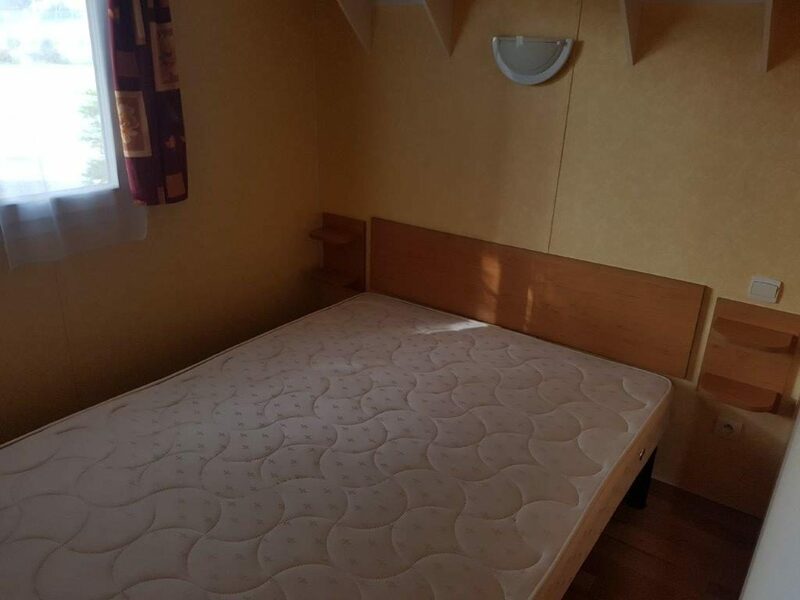 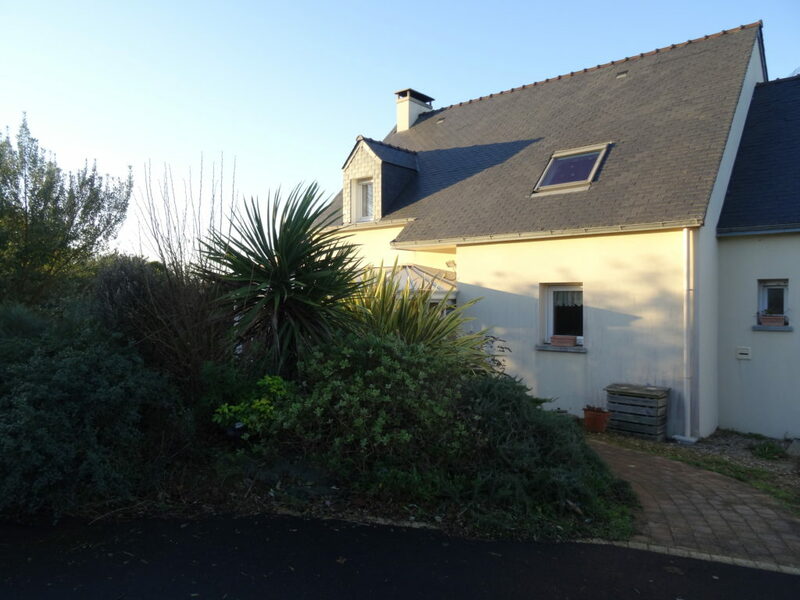 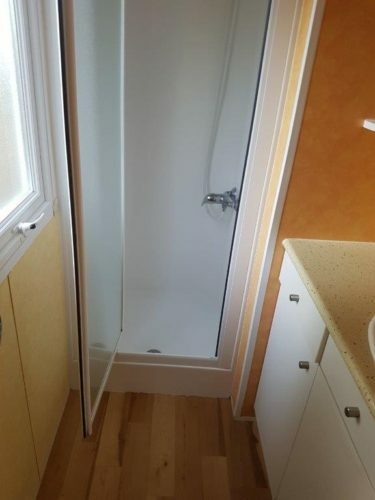 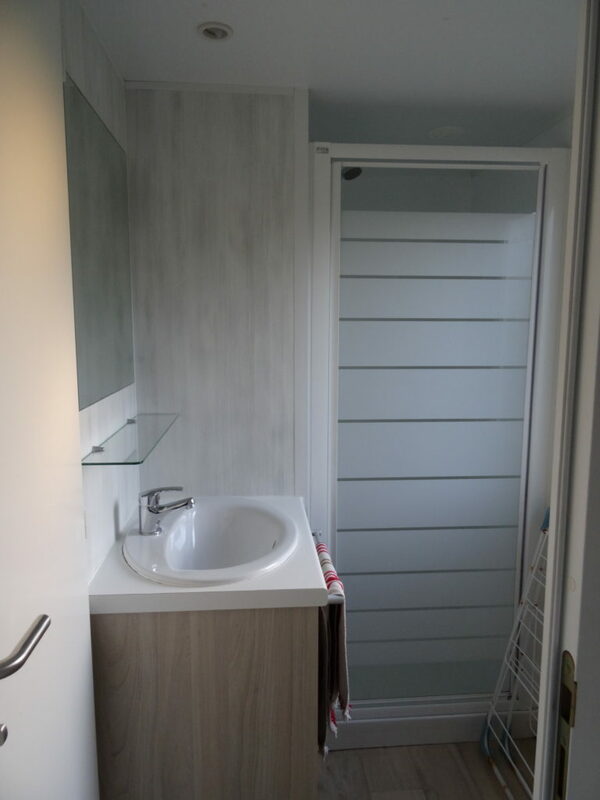 WC, shower room, kitchenette with fridge, cooking hob, crockery, garden furniture..
3 bedrooms with covered terrace: 6 people, 1 bedroom with double bed (140cm), 2 bedrooms with 2 single beds + sleeping for 1 in the lounge. 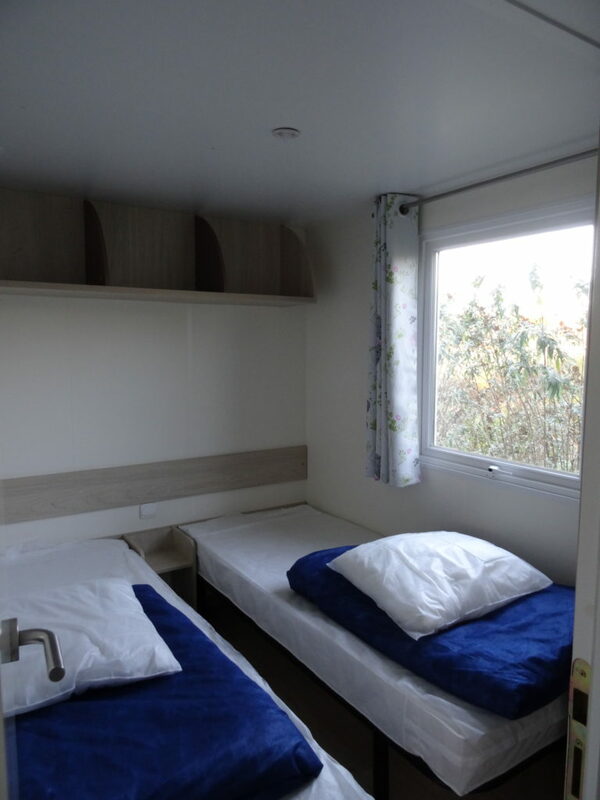 Pillows, duvets. 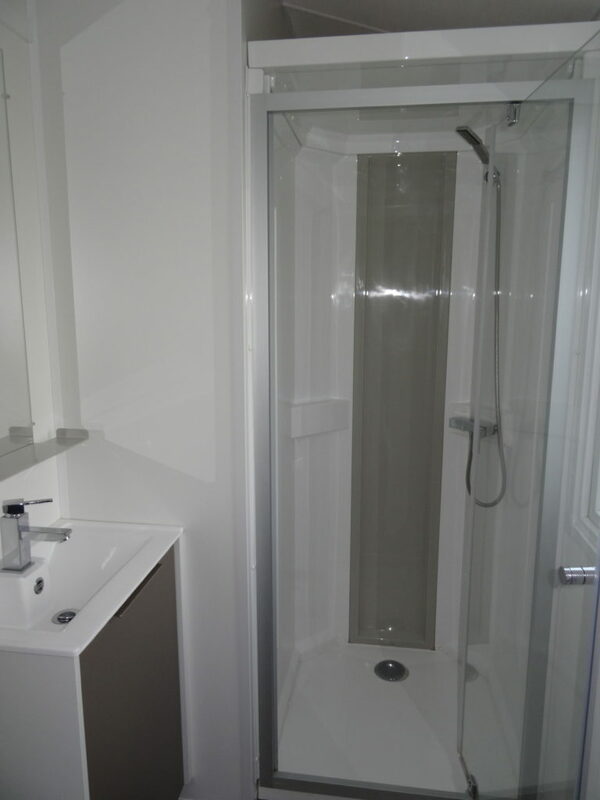 WC, shower room, kitchenette with fridge, cooking hob, crockery, garden furniture. 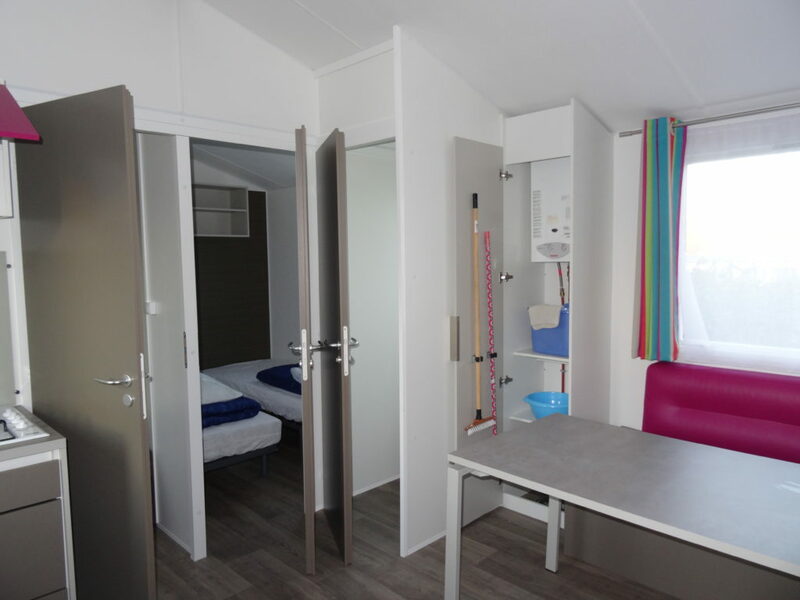 3 bedrooms with covered terrace: 6 people, 1 bedroom with double bed (140cm), 1 bedroom with 2 single beds (80cm), 1 bed room with 2 single beds (70cm) + sleeping for 1 in the lounge. 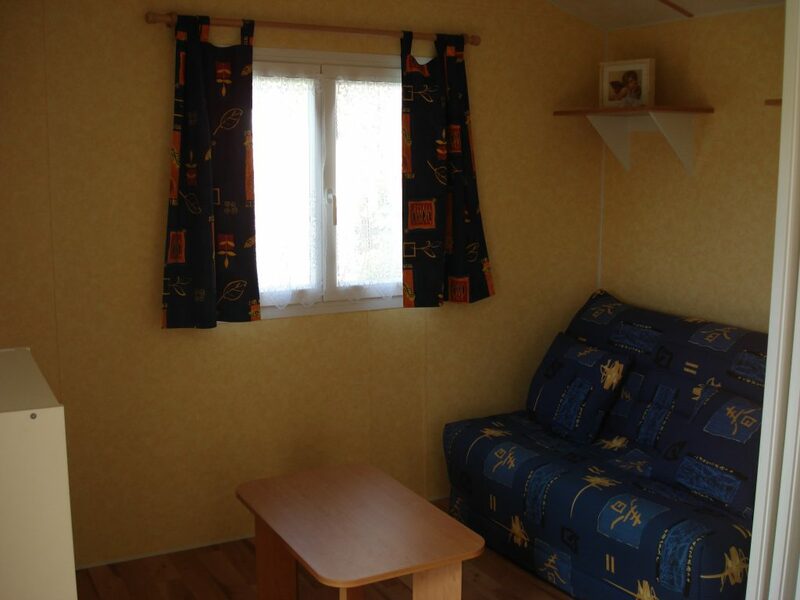 Pillows, duvets. 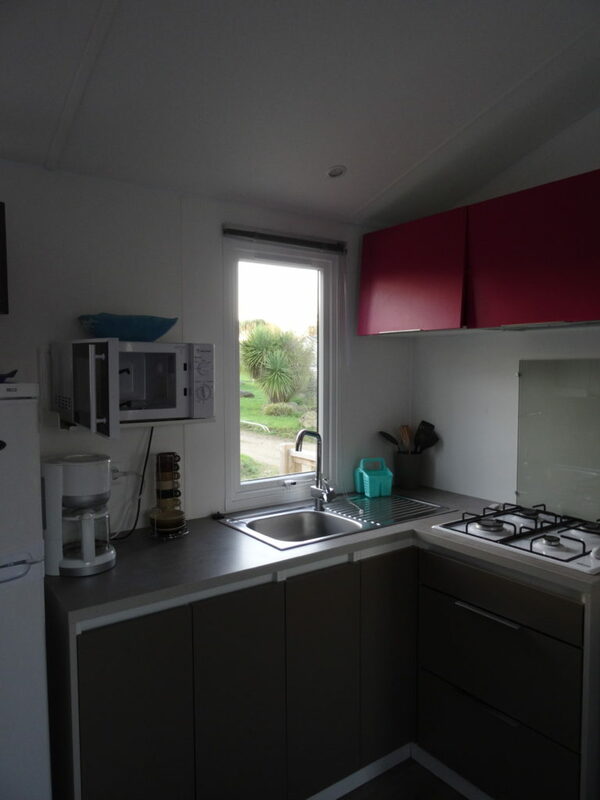 WC, showerroom, kitchenette with fridge, cooking hob, crockery, garden furniture. 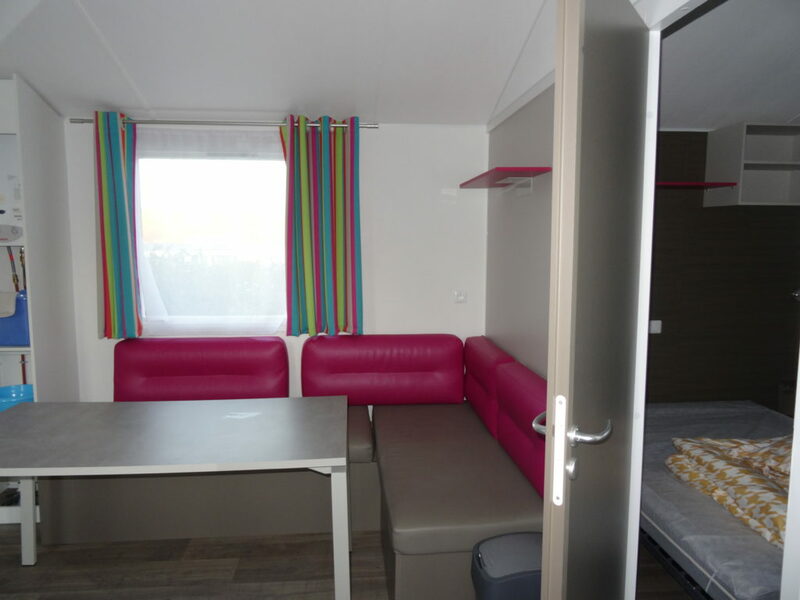 3 bedrooms with covered terrace: 6 people, 1 bedroom with double bed (140cm), 1 bedroom with 2 single beds (80cm), 1 bed room with 2 single beds (70cm) + sleeping for 1 in the lounge. 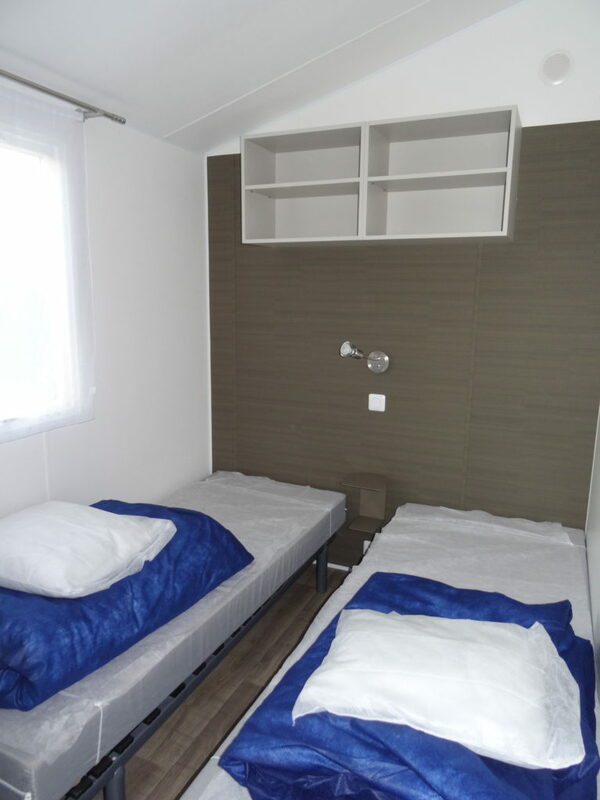 Pillows, duvets. 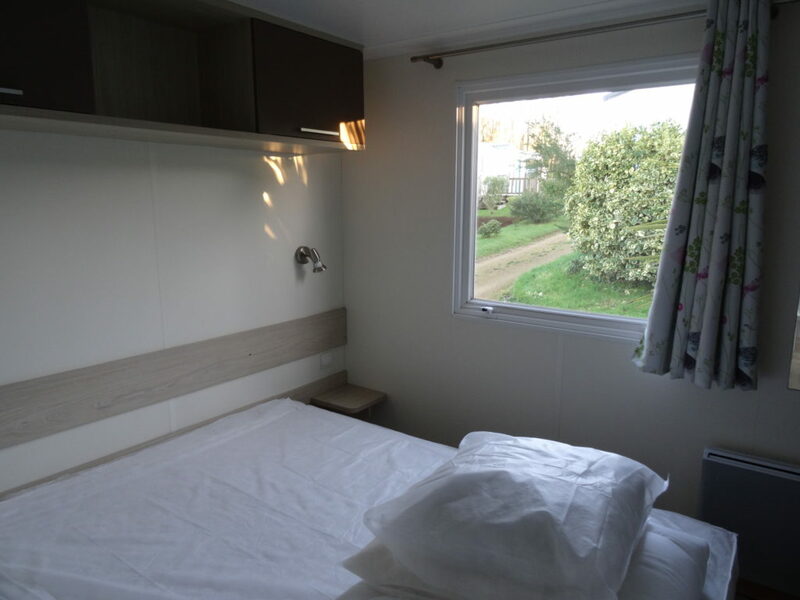 WC, shower room, kitchenette with fridge, cooking hob, crockery, garden furniture. 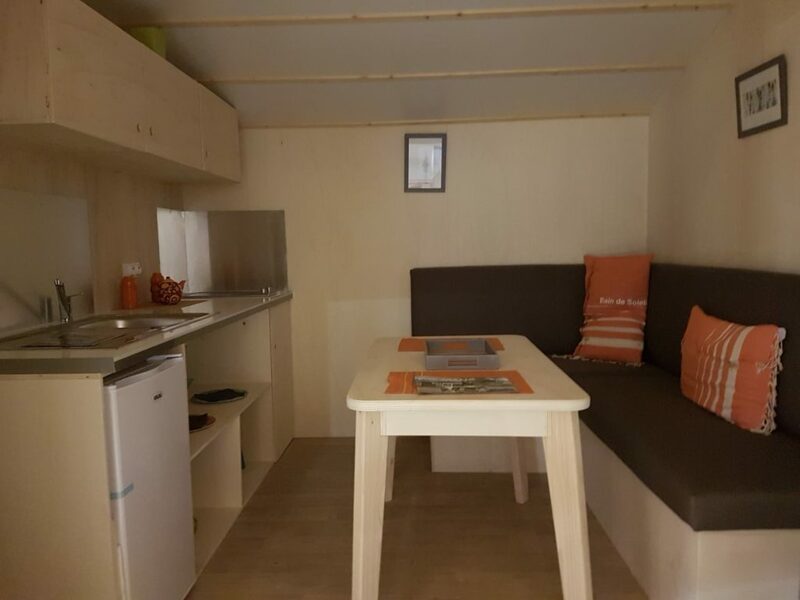 3 bedrooms with covered terrace: 6 people, 1 bedroom with double bed (140cm), 1 bedroom with 2 single beds (80cm), 1 bedroom with 2 single beds (70cm) + sleeping for 1 in the lounge. 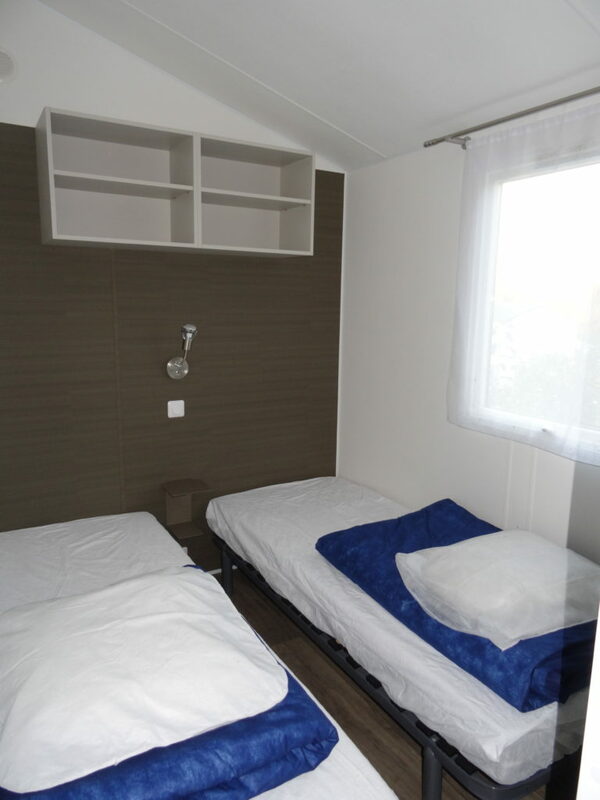 Pillows, duvets. 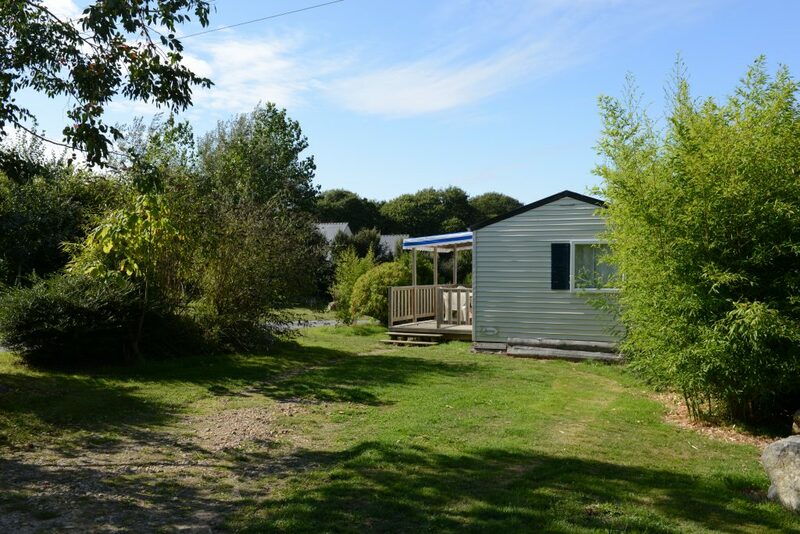 WC, shower room, kitchenette with fridge, cooking hob, crockery, garden furniture, terrace.